To be clear, this is a big topic. Every record label has their own way of cataloging their releases. Instead of covering every possible variation (of which there are thousands), we’ll take a look at some basic steps to get you started. Step 1. First things first. Let’s see that jacket. First or early pressings of a classic album have probably seen some fun in their day. Chances are the jacket of an OG pressing from, say, the ‘70s will not be in pristine condition. That’s not to say NM first pressings don’t show up, but they are exceedingly rare. This is especially true of party albums. You’re far more likely to encounter a survivor than you are a museum piece. A newer pressing or reissue will typically have a crisp clean jacket with vibrant artwork. Step 2. Does the jacket have any hype stickers or a bar code? Any classic album released prior to the 1980s is not going to have a barcode on the jacket. 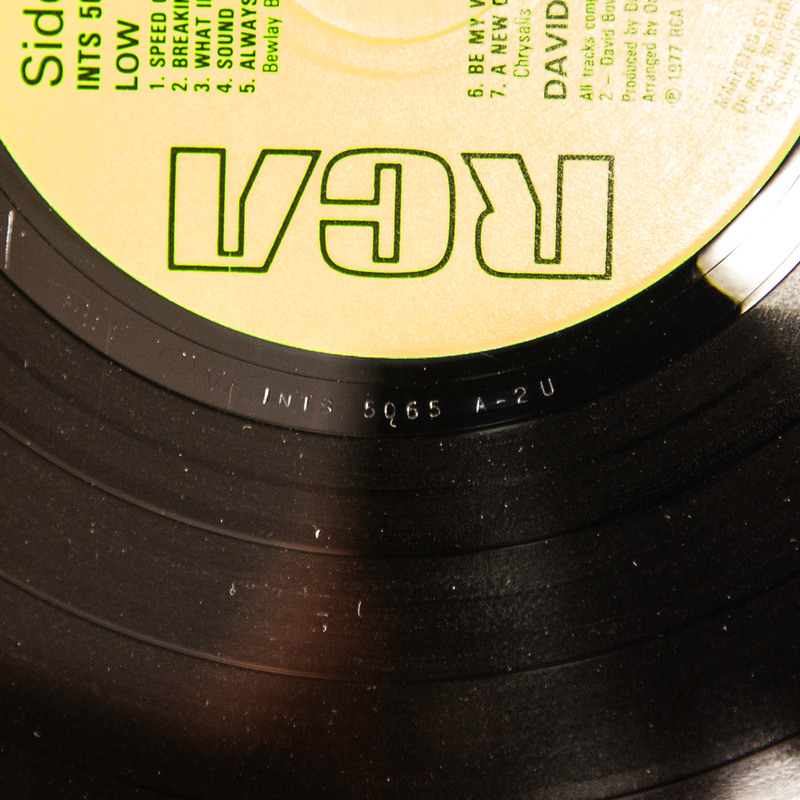 Older original pressings are not likely to be on 180-gram vinyl. Any mention of bonus content or “Includes the Hit…” may indicate a later pressing as well. Unless we’re talking about a fairly recent release, there will be no download code card included with an early pressing. Current albums, however, may have those things. A first pressing of Mazzy Star’s recent Still EP, for example does come with a download card. Step 3. What is the catalog number? This number in an of itself may not tell you much, but it can still offer a clue about the record you’re listing. Catalog numbers tend to start with a two- or three-letter code followed by a number sequence. These catalog numbers change over time. The US version of Led Zeppelin II, for example, went from catalog number SD 8236 at its release to SD 19127 in 1977. If you have multiple copies of an album, it is probably worth it to compare their catalog numbers. Step 4. Do you have a foreign edition? Some pressings are more collectible if they are not from their country of origin. The pink French pressing of Pink Floyd’s Animals is sought after by many collectors, for instance. Some people prefer the vinyl formulation used by Japanese pressing plants. Sometimes, however, it is possible to have a foreign pressing that is not very collectable, since that version was cut from a backup master tape rather than the original master tape. Knowing where your record was pressed is very important information to have in your listing. Step 5. The next thing to check out is the center label. Some companies like Reprise had different coloring for their center labels on early pressings. A “tri-tone” Reprise is going to probably get more attention than the all-tan version of the label. It’s also a good idea to read the copyright notices on the label, as some reissues will have a copyright extension year listed. Also, a number of re-issue companies put their own name on the center label. For example, if the album was originally released on Elektra, but the label says Sundazed, you know it is a reissue. Does the label say mono? While mono is having a bit of a comeback in the reissue realm, it was mostly phased out by the late ‘60s. 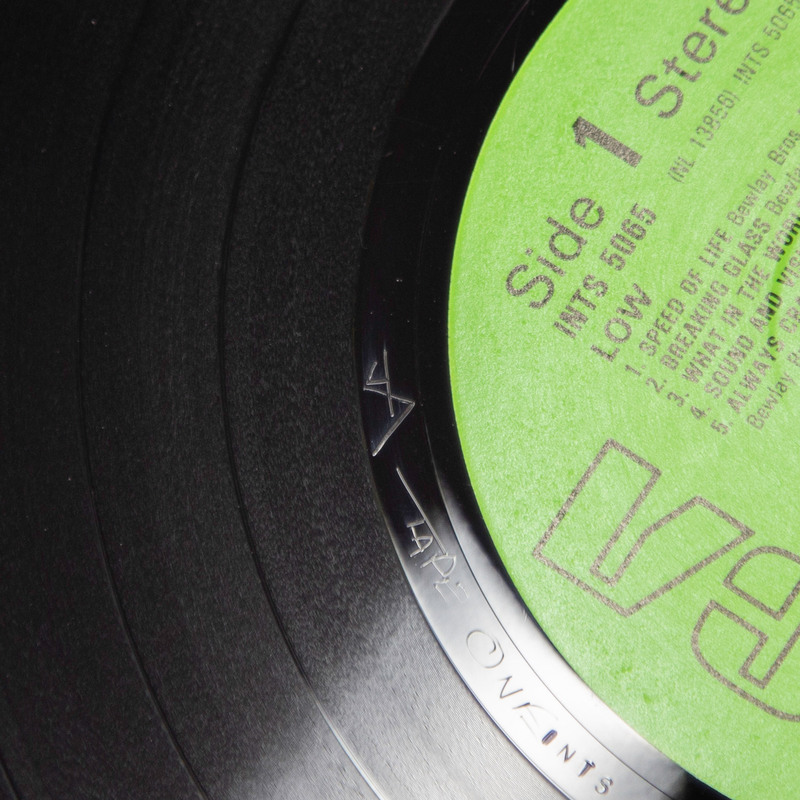 A mono label may indicate an original pressing. Step 6. The dead wax—herein lies many secrets. Most records will have inscriptions (they can be handwritten or stamped) located in the run-off groove area of the record. Ironically, that fertile field is called the dead wax. The matrix numbers found there can usually be used to tell us what record you have, what side of the album you’re looking at, and what stamper or lacquer was used. They are also often inscribed by the mastering engineer who cut the lacquer used for the pressing plate. As mentioned earlier, every company has their own way of cataloging their stock, but there are some rough standards. The start of the matrix number is usually the catalog number. This is typically followed by side and stamper information. A first pressing side 1 may end in “-A1” or “1A” with side 2’s matrix ending with “-B1” or “1B.” Some companies opt for an “A1/B2” schema for their sides. This is why it’s a good idea to check both sides of the record in order to get an idea of the format used. An exception to this is Capitol. Capitol pressings often used a letter to indicate what lathe the lacquer was cut on. An original pressing of Fleetwood Mac’s ubiquitous Rumours would read something like “BSK-1-3010 F22.” BSK 3010 is the catalog number, the “1” between them is the side, and F is the Neumann lathe used to cut the lacquer. In this case, it is the 22nd. So, not a first pressing, but probably pretty early in the album’s production. Finally, keep an eye out for any stamped or hand-etched initials. Mastering engineers will often sign their work and many of them have fans willing to pay a premium for their cuts. For example, the initials RL (for Robert Ludwig) etched into your Led Zeppelin II will definitely get some attention. Other initials to look for include “a Porky prime cut”/Pecko Duck (George Peckham), BG (Bernie Grundman), RVG (Rudy Van Gelder), LH (Lee Hulko), and KG (Kevin Gray), to name a few. Step 7. Is there anything unusual about the record? Colored vinyl? Die cut sleeve? Holographic labels? Etched side? Any of those things can indicate that your record could be a limited edition. Many albums have a limited collector’s version. If it seems to be a little flashier than a standard record, you may have one of these on your hands. Using this guide as a starting point, you are now ready to start sorting your records and preparing your listings.